← Is Brad Pitt filming in Chippy? 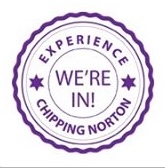 At last night’s Chipping Norton Town Council meeting, Richard Benfield was co-opted as a new town councillor. A vacancy had arisen following the resignation of Rebecca Herrin, who had moved away from the area. Six candidates put themselves forward for the vacancy, and last night, Richard was elected after a clear win in the first ballot held by the other councillors. Richard was born and bred in Chippy, attending school here. His father was a founder member of the Chippy Football Supporters and Social Club. Richard had a long career in hotel and catering, his first job being at the former White Hart Hotel on Topside. Since then, he has worked around England and Wales, most recently running his own pub and restaurant in Suffolk. He is also on the committee of the Chipping Norton Conservatives. After being co-opted yesterday, the new Councillor Benfield joined the other councillors at the town council meeting, where he joined in debate over such issues as the proposals for a new Aldi store on Banbury Road. This entry was posted in Uncategorized and tagged Benfield, Chipping Norton, co-opt, council, councillor, Town council. Bookmark the permalink.